I've been busy doing lots of little things lately that individually didn't really seem blog worthy, so I thought I'd do a quick wrap up. If you follow me on instagram this is kind of a repeat. Organization makes me happy. This time of year I always get the itch to start getting things in order around my house. 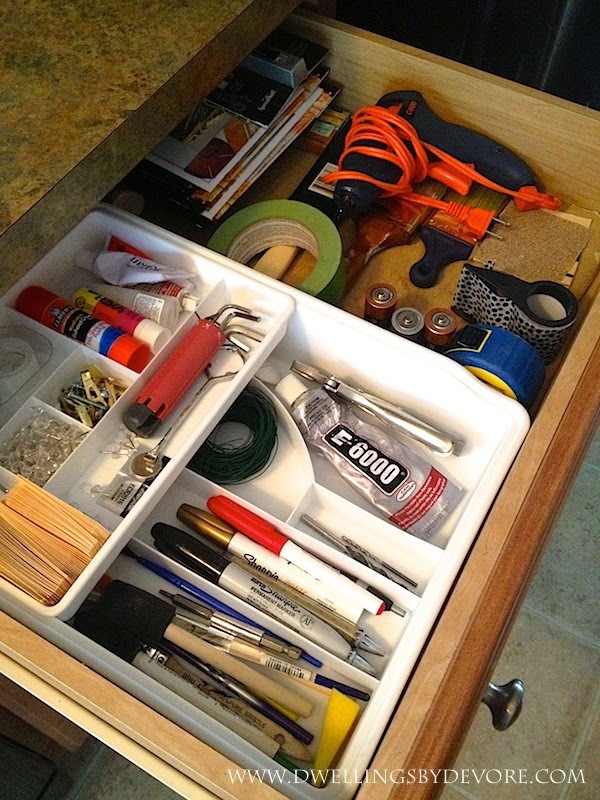 Our junk drawer was one of those places that definitely needed some order. I've organized it numerous times, but it never stays that way. I found this two tier drawer organizer at Target for around $6. Now that everything has a place, I'm hoping it will stay that way. I could easily become a fabric hoarder. The remnant table is especially dangerous. It's just hard to keep on walking when you spy a pretty remnant for a few bucks. That was the case with this fabric. I knew it would work perfectly in our bedroom and I just loved the pattern. Speaking of pillows, I finally finished this greek key bolster pillow for my mom's master bedroom. The gray velvet was also a remnant and the greek key trim is from Hobby Lobby. They have a few different colors and it's just so pretty for the price! 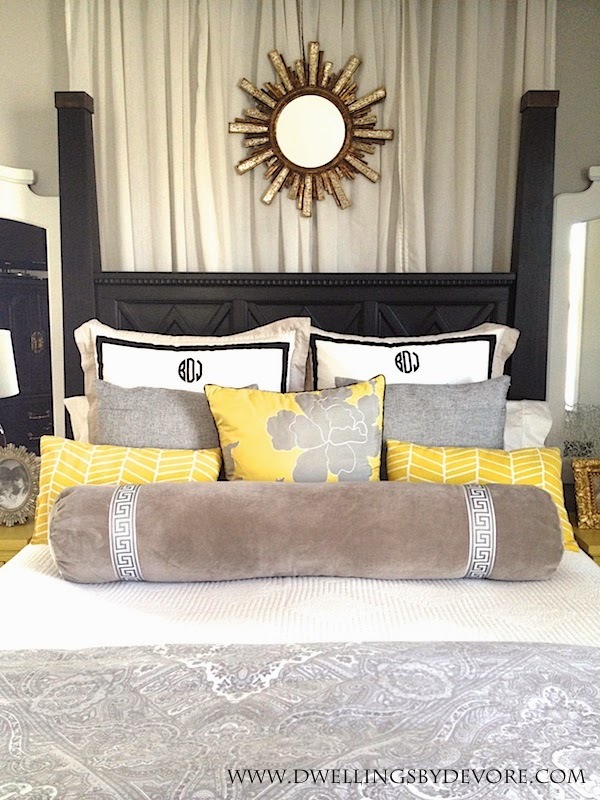 I love how Jennifer used it on these gorgeous pillows! For some reason the zipper and ends really got me on this one. Needless to say I'm glad it's finished. We are actually almost finished with the room. I just need to get over there and add the finishing touches and take some pictures. That pillow is so perfect in your bedroom!! 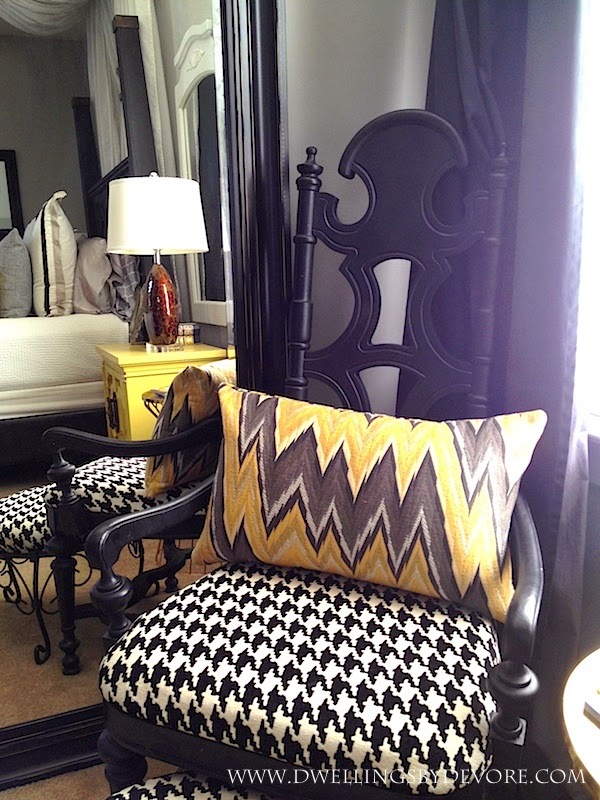 I love that chair and the pillow is like the cherry on top. Gorgeous! love the pillows, and great deal on that kitchen! 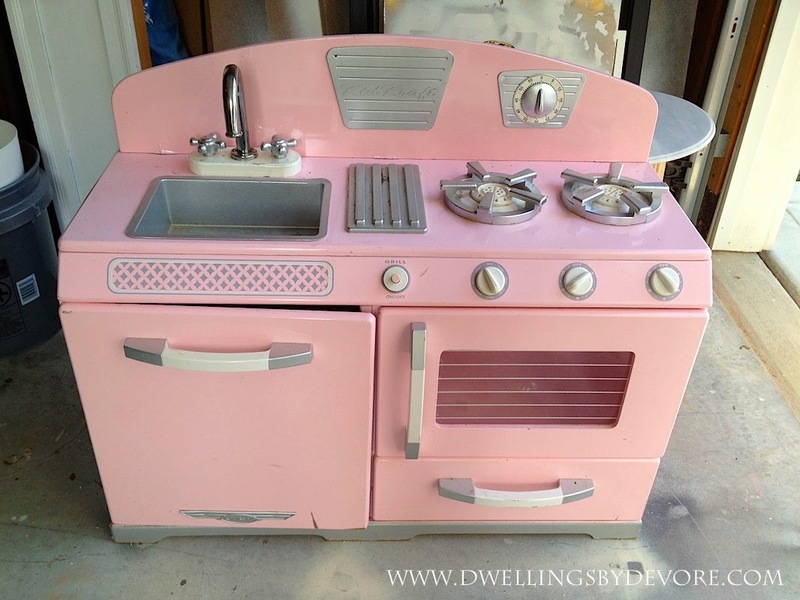 I just saw a play kitchen at a consignment store today and was tempted to buy it for the price but I already have one :( Love your bolster pillow! We have a play kitchen like that too!